Mariavittoria Vallarino is a speech and language therapist with skills and experience in language, communication and learning problems in childhood. She graduated in Italy and currently works in London. Her field of expertise is how to involve families in the rehabilitation process, in a way they become more confident in helping their children to overcome difficulties. In recent years she has been focussing on language acquisition in multilingual families. 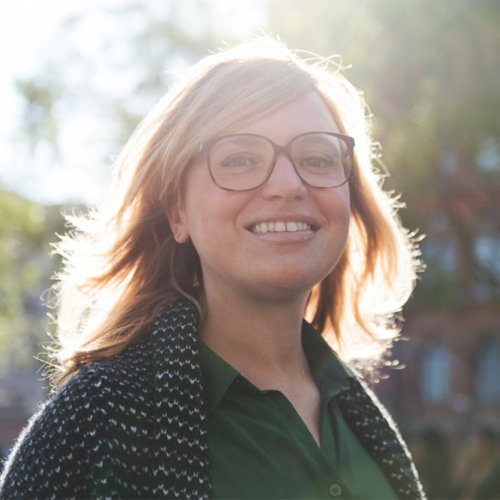 She graduated in 2001 as a Speech and Language Therapist at the University of Genova, and in 2008 she gained a Master of Science in Language and Deafness Rehabilitation at the University of Modena and Reggio Emilia. During 13 years of working experience in Italy she practiced in different areas and institutions. She started at a Neuropsychiatry Service in Genova, after she won a research scholarship in 2009 at the ENT University Department of Modena Hopital. Since 2007 she has mainly focussed on language and deafness rehabilitation with a special attention to the active involvement of the family. In those years she began to deepen the Auditory Verbal Therapy following training courses in Italy and abroad. In 2011 she was hired at the service of Audiology Bambino Gesù Children Hospital, Rome. Mariavittoria Vallarino moved to London in 2014. She is working as freelance, assessing and supporting bi or multilingual families with children with communication and learning problems. She is also working with the Italian School in London. She is attending a training course in Auditory Verbal Therapy at the Auditory Verbal UK (AvUk) centre based in Oxford and London. She is registered to the Health and Care Professions Council, UK. Trough Skype she is still working with children and their families in Italy. Expert in Assessment, rehabilitation and counselling for language, communication, learning disorder and deafness.